Last week, Sony announced that the Vita, along with PS3, will stop getting monthly games through the PlayStation Plus subscription service in March 2019. In the wake of that news, it’s worth remembering: Vita owners never had an easy go of things, but it would have been a whole lot worse without PlayStation Plus. Vita owners like to talk about the handheld like fans of a sports team that’s never won a championship despite coming close on several occasions. “If just a few things had gone differently,” we like to speculate on forums, or at the store while hunting for a rare physical copy of Danganronpa: Trigger Happy Havoc. The narrative arc of the Vita will forever be a tragic one, but there have been a few silver linings over the years, and none bigger than the decent, and sometimes even great Vita games that were included with PS Plus, which allowed paying users access to select games at no extra charge. Over 100 games have come to the handheld as part of the program since it launched in the fall of 2011. Some of have been completely forgettable, like Dragon Fin Soup, while others I still find reason to return to on occasion. I’m pretty sure I’ll be dipping in and out of Freedom Wars for the rest of my life—1,000,000 years is a long prison sentence to work off. 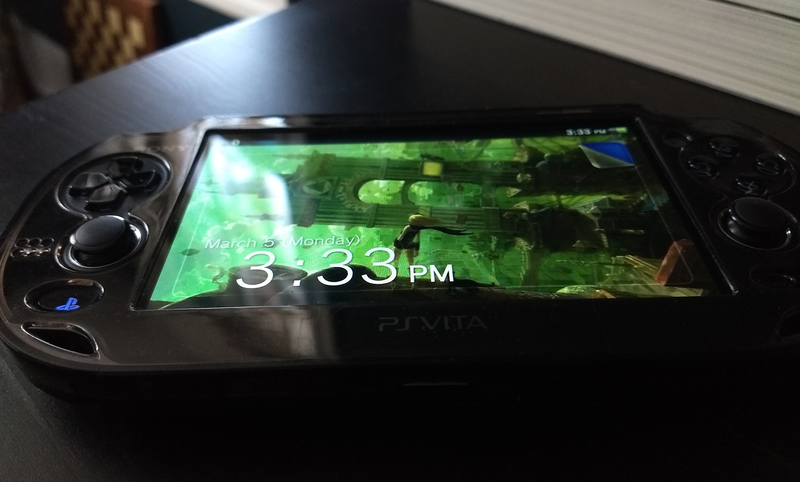 The $60-a-year service has by no means saved the Vita. At $5 a month, you’re sometimes getting great games and sometimes paying for junk. It has, however, helped to keep the handheld on life support so it can live out the rest of its days in the loving hands of a few remaining diehards like myself. The Vita released in early 2011 with some decent games including Uncharted: Golden Abyss, Little Deviants, ModNation Racers: Road Trip, and Wipeout 2048. There were also ports of major sports games and several fighting games like Ultimate Marvel vs. Capcom 3 (which actually arrived a week earlier on Vita for those who ordered the “First Edition” version of the handheld). The future looked bright, despite proprietary memory cards which remain ridiculously expensive to this day. But as we now know, this heyday was short lived. The focus on putting blockbuster AAA games like Uncharted on a handheld ultimately proved misguided, as the troublesome port of Borderlands 2 which arrived in poor shape by mid-2014 made clear. Sony managed to go 80 minutes at Gamescom that year without ever mentioning the Vita. To fans, it looked like the beginning of the end. And it was, although that end has been a slow and stable descent rather than a quick nosedive thanks both to the Japanese gaming audience’s continued interest in the platform and the diligent efforts of indie studios to continue porting some of their best games to it. I’ve spent more hours with Titan Souls, Fez, Spelunky, and Rogue Legacy on my Vita than other platform, and lots of other PS4 and Steam ports of similar quality continue to consistently pop up in the monthly PS Plus lists. If you were a subscriber when the Vita was first integrated into Sony’s Instant Game Collection program back in November 2012 you would have gotten Uncharted: Golden Abyss, Gravity Rush, WipEout 2048, Jet Set Radio, Final Fantasy Tactics, and Tales From Space: Mutant Blobs Attack. Since the start of this year, you’d have gotten Psycho-Pass: Mandatory Happiness, Uncanny Valley, Exile’s End, Grand Kingdom, Claire: Extended Cut, and Bombing Busters. These latest games are admittedly a more meager offering than five years ago, but still decent considering the Vita is supposed to be dead. Psycho-Pass is a great visual novel adaptation of an anime by the same name that normally still costs $25 used, while Grand Kingdom is one of the better tactical-JRPGs to sneak out in the past few years. Sure, you could play it on PS4, but I definitely prefer it on the handheld where I can spend hours pouring over menus and preparing my party for battles during the spare minutes of a commute or in the middle of cooking dinner. The Vita’s been a backwater for years now, but it’s one I’ve come to appreciate as a respite from the frantic day-to-day chaos. Games I didn’t get to when they originally released are there for me to dip back into whenever the spare moment presents itself. I can assure you I wouldn’t have ever finished beating every exquisite Zelda-like boss in Titan Souls if it hadn’t bubbled back up to the surface as a January 2017 PS Plus game, and yet sitting on park benches last spring memorizing enemy attack patterns remains one of my favorite gaming experiences of that year. I’ll be sad to see the Vita lose its last lifeline from Sony when this all stops next March, but until then it’s been a decent ride, one which could have ended much more abruptly. No matter what happens now, I’ll always have a stellar library of games for the handheld, at least as long as I can afford enough memory cards to download them all before the current iteration of PlayStation Network eventually disappears. Correction: a previous version of this article incorrectly stated that Ultimate Marvel Vs. Capcom 3 arrived first on Vita.